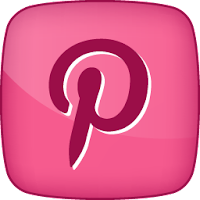 I'm thrilled to be bringing you this post today! 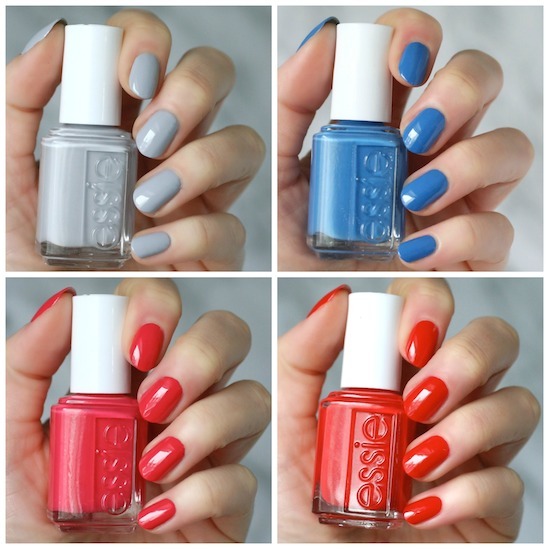 Essie Canada sent me the new Resort Collection a few weeks ago so I'm stoked to be showing you swatches of this collection as it launches. Every year we see the Resort Collection in the lull between winter and spring and it always comes with fun colors to break us out of the winter doldrums. 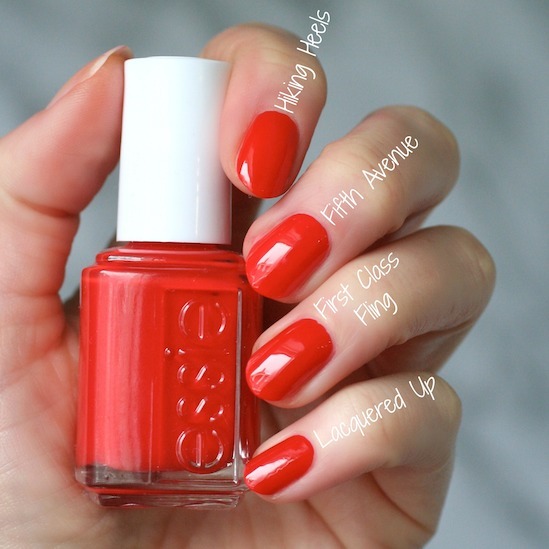 The theme of the collection is usually an exotic or warm destination resort but this year, Essie did a fun little spin and made the collection about flying first class on the way to the resort. 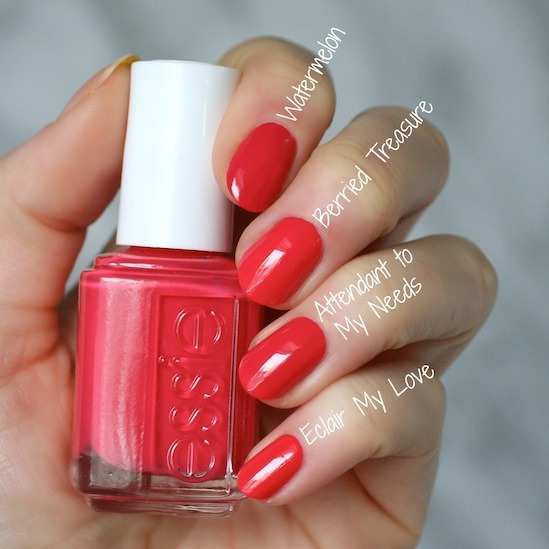 Let's check out the formulas and see how the colors compare to previous Essie's. This grey you guys. WOW. This formula is so opaque yet still the perfect consistency. It's basically a one-coater! I still did two for the photos, but YES to this formula. It self-levels nicely too. This is exactly the type of grey I like to wear this time of year. I was even more stoked about this grey polish when I held it up to my collection and didn't find any dupes! 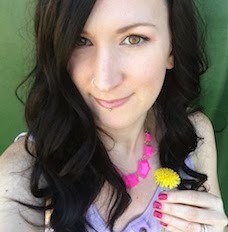 It's lighter than Petal Pushers and Cocktail Bling but darker and more cool-toned than Go With the Flowy. I'm loving this grey! As soon as I opened the box and saw this blue I loved it! It's a deep yet bright azure blue. It went on super opaque with a brilliant, smooth formula. Very nice and self-leveling and super shiny. 2 coats. Love this one. 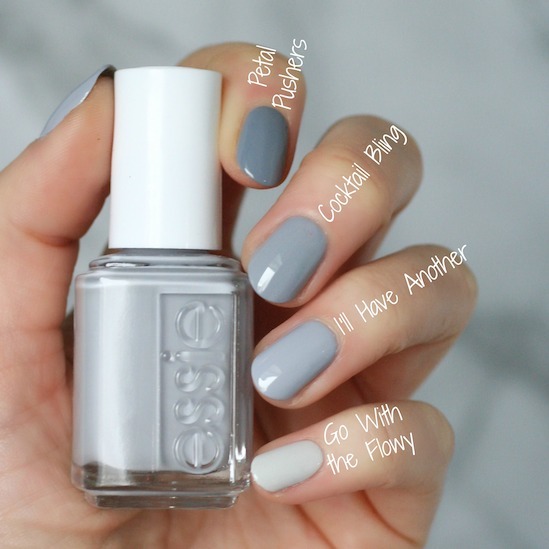 Join the Club isn't like any other Essie blues I have! It totally stands out as it's own color and shade and nothing in my collection is even close. While I got excited about the first two and had nothing else in my collection like them, these next two polishes is where my excited waned a bit. I looked at this deep fuschia pink and immediately knew I had a few other polishes exactly like it. The formula was very nice though. Again, it was a very opaque and smooth formula, perfect in 2 coats. Watermelon is much deeper of a pink but the others are reeeeeally close. I have to squint to spot the differences. Eclair My Love is a touch brighter and more coral and Attendant to My Needs is a tiny bit deeper of a pink than Berried Treasure which is a bit brighter. What do you think? Dupe? If you don't have these other polishes then Attendant to My Needs is really nice, but you can skip it if you do own them. This is a bright poppy red, which I own a ton of, so again this color didn't really get me too excited. But it does have a great formula and was perfect in 2 coats. Hiking Heels is quite different than First Class Fling as it's brighter and more orange. Lacquered up is ever so slightly more red and Fifth Avenue ever so slightly brighter/oranger. If you mixed the two together you'd have First Class Fling. But I can barely tell a difference so......do I need another red like this in my collection? Not really. Join the Club and I'll Have Another are the standouts from this collection for me. I do really like how the poppy red pairs with the grey and blue for nail art. 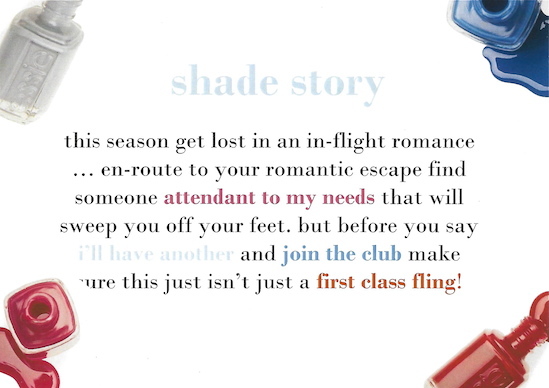 If you don't have polishes in your collection like First Class Fling or Attendant to My Needs, they would be great additions. Every polish in this collection had a fabulous, opaque formula and went on smooth. The Resort Collection will be available worldwide starting today, February 1st, although, I've had a couple followers from Germany and France message me on instagram that they've seen this collection in their stores since December. The fact that it's released worldwide hopefully means it should be pretty easy to get your hands on (not like last year's Resort Collection fiasco! Every one wanted it, but no one could find it). 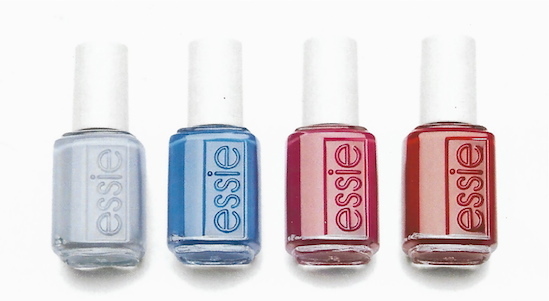 Although, oddly enough, I can ALWAYS find Essie collections on Amazon.com and this one isn't posted. What do you guys think? Which ones catch your eye? Do you have the same thoughts as me about the colors? If I want a blue like that, I think I'd just wear Namastay the Night. And there are a host of other fuchsia pinks and poppy reds I already have. Although saying all that, my FOMO and wanting to get colors with the wide brush may entice me to get them. So we'll see. Maybe I'll get them to finally start swatching comparisons! It's a shame that last year's resort collection was hard to get because that was my absolute favorite. Looks like they're already available on Superdrug in the UK. They're labeled as "Winter Getaway". I don't see them on Boots, so may be a Superdrug exclusive. In love with that grey!!!! I'm on the hunt for it now! How’s close is I’ll Have Another to Without A Stitch? Attendant To My Needs To Double-Breasted Jacket & Join The Club To Pret-A-Surfer?